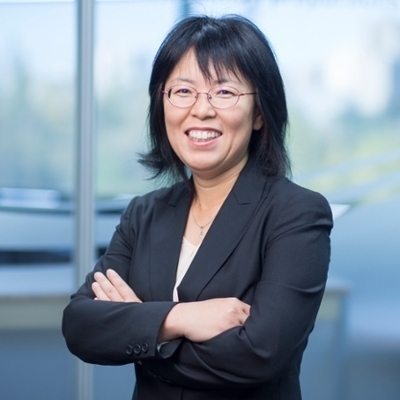 Haizhen Mou' primary research interests include fiscal governance, government budget management, fiscal federalism, and health care financing and expenditure, often from a political economy perspective. She received a SSHRC grant and several other awards. Her main teaching responsibilities include Public Finance and Quantitative Research Method for graduate students. She has supervised nine Ph.D. or MPP students and served on numerous graduate thesis committees. Download Haizhen Mou's abridged CV. Principle Investigator, June 2014 – May 2016, SSHRC Insight Development Grant, $68,957. Project: “Understanding Cost Efficiency in the Public K-12 Education Systems: A Behavioural Approach”. Co-applicants: Michael Atkinson and Jim Marshall. Principle Investigator, June 2014 – November 2015, President’s SSHRC Grant, University of Saskatchewan, $6,750. Project “The Real Test: Effectiveness of Balanced-Budget Fiscal Rules during Economic Recession”. Co-Applicants: Michael Atkinson and Stephen Tapp. Co-Applicant, July 2016 – June 2023. CIHR Foundation Grant, Canadian Institutes of Health Research. $2.33million. “Design and evaluation of integrated primary health care practices for dementia in rural and remote settings.” Program Leader: Debra Morgan. Haizhen Mou, Michael M. Atkinson and Jim Marshall. 2018. Forthcoming. “Budgeting for Efficiency? A Case Study of the Public K-12 Education Systems of Canada.” Applied Economics. Haizhen Mou. Forthcoming. “Measuring Policy Content and Outcomes: A Quantitative Study of Balanced Budget Laws.” SAGE Research Methods Cases. Daniel Béland, André Lecours, Gregory P. Marchildon, Haizhen Mou, and Rose Olfert. 2017 Contested Redistribution: Equalization Policy and Fiscal Federalism in Canada. University of Toronto Press. Gregory P. Marchildon and Haizhen Mou. September 2013. The Conservative 10-year Canada Health Transfer Plan: Another Fix for a Generation? In Chris Stoney and Bruce Doern (ed. ), How Ottawa Spends, 2013-2014: The Harper Government: Mid-Term Blues and Long-Term Plans, McGill-Queen's University Press. Daniel Béland, André Lecours, Gregory P. Marchildon, Haizhen Mou, and Rose Olfert. July 18, 2018. “The challenge for Canada’s equalization program.” Policy Options. Gregory P. Marchildon and Haizhen Mou. December 2012. What does the New Canada Health Transfer mean for Western Canada? Western Policy Analyst. Haizhen Mou. September 2011. The Public-Private Mix of Health Care Spending, Western Policy Analyst.